When only the best paper will do !! RAW Unbleached Parchment Paper - 4" wide x 13ft long Authentic dual coated unrefined paper. 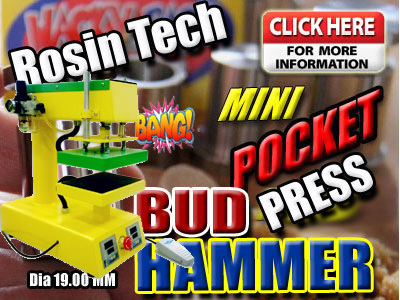 With a sharp cutting edge that will easily help you tear off that perfect piece. Can also be used for any specialty baking and rapping. 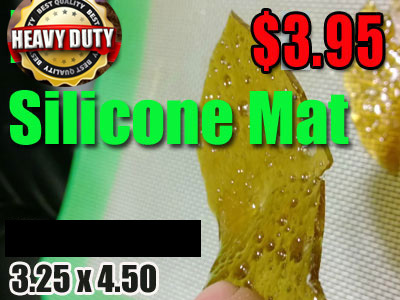 This paper is designed to take extreme heats and temperatures and is a very reliable , tough product that you can trust for all your rosin tech needs. 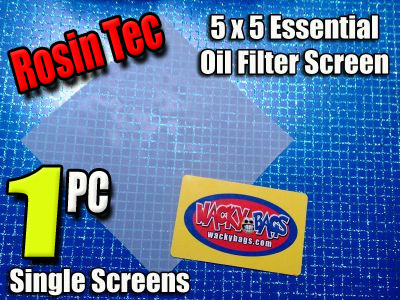 5x5 Essential Oil Filter Screens in your choice of 6 micron sizes. 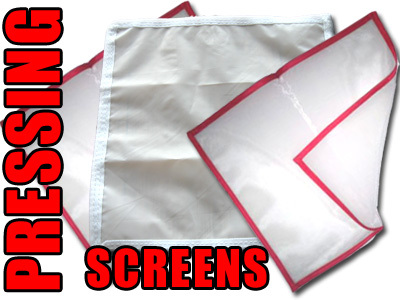 Wacky Screens provide long lasting eco-friendly solutions for the extraction of essential oils from plant matter or filtering unwanted particles from infused oils or tinctures. Environmentally friendly. Use the Mat instead of parchment paper! Completely Non-stick, Re-usable, solvent resistant, and heat proof to 500F; Handle the stickiest concentrates with ZERO waste or mess. 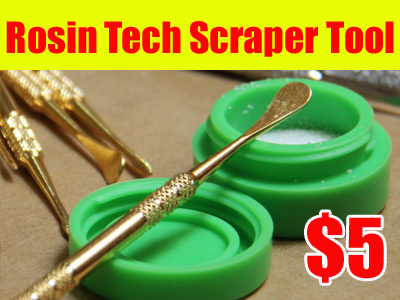 Short Decription The Bakers "Lil Pick-n-Blade" Dab Tool is the perfect accessory for collecting oil after the Rosin Tech Extraction Process. The double sided tool features a Picking tool and a Blade. These Tools are made from the highest grade medical stainless steel. Using Medical Grade Stainless steel means these tools are Heat Resistant, corrosion resistant, durable and Dishwasher safe. 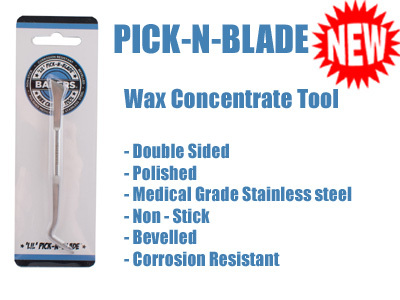 The Pick and Blade tool is polished, beveled and easy to use. 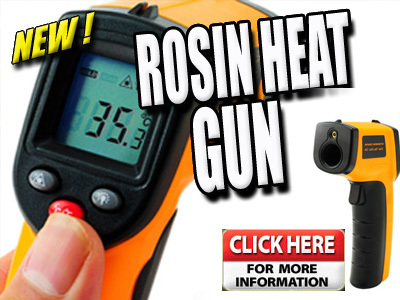 This is a must have tool! The Dab Tool is the perfect accessory for collecting oil off parchment paper once you have completed The Rosin Solvent less oil Extraction. The double sided tool features a Picking tool and a scoop. The pick end of the tool is incredibly useful for manipulating small pieces or cleaning out those hard to reach places. The opposite scoop end is exactly what your looking for when u need to grab just a small amount of dry sift or any other fine powders. The collection of Rosin is made easy by the rounded spoon like end and allows for a perfect harvesting device. Its also incredibly easy to remove anything from the scoop do to its sleek and non stick stainless steel finish. They come in gold or silver and are approximately 4 3/4 inches long. Pressing screens are an essential part of the drying process, after the extraction process quickly and cleanly wick remaining water away from your crystals using Wacky's 25um pressing screen. When only the best paper will do !! 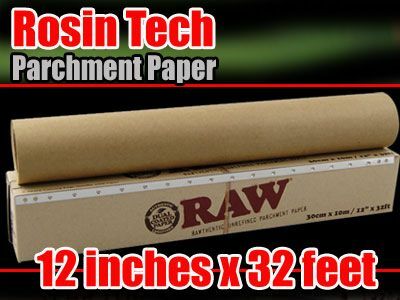 RAW Unbleached Parchment Paper - 12" x 32ft Authentic dual coated unrefined paper. With a sharp cutting edge that will easily help you tear off that perfect piece. Can also be used for any specialty baking and rapping. 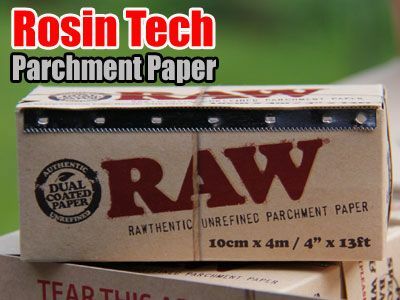 This paper is designed to take extreme heats and temperatures and is a very reliable , tough product that you can trust for all your rosintech needs. 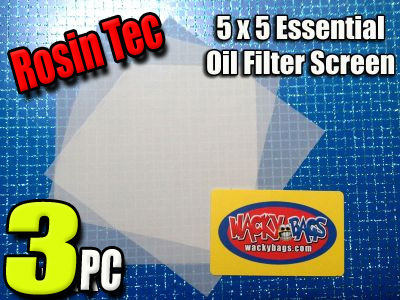 THREE 5x5 Essential Oil Filter Screens in each pack. 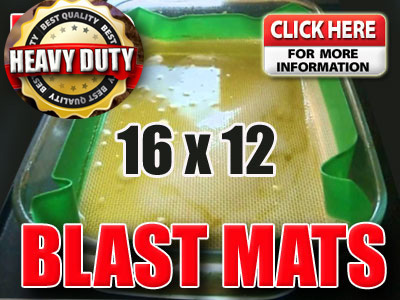 Short Decription NEW 16 x 12 Silicone Blasting Mat. Handle the stickiest concentrates with ZERO waste or mess. Microwave and hot-plate safe material spreads heat evenly when used for purging. 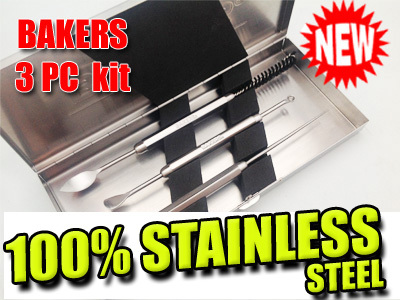 Short Decription The Bakers Wax Carving 3 PC Tool Kit is the perfect accessory for Wax and Medical Concentrates. The kit includes three double sided tools. These Tools are made from the highest grade medical stainless steel. Using Medical Grade Stainless steel means these tools are Heat Resistant, corrosion resistant, durable and Dishwasher safe. The Bakers tools are polished, beveled and easy to use. This is a must have tool kit! WOW. Just what we've always been waiting for. That perfect pre-cut piece of parchment ready and waiting for you in a box. That's right and we've got them now. 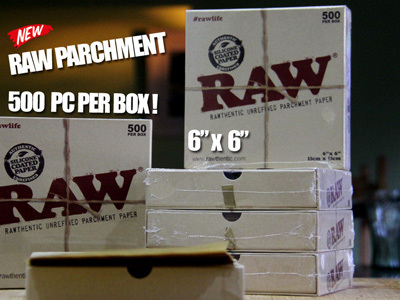 All new 6x6 RAW Unbleached Parchment Paper. This perfectly cut piece of parchment just like all its brothers and sisters is a super tough , durable and now pre-cut piece of parchment. 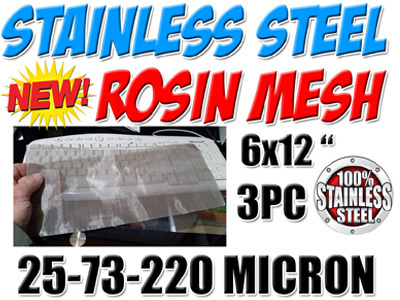 Great for anything requiring a 6x6 cut piece of parchment but just fantastic for all your rossin pressing needs. Comes with 500 pre-cut pieces in every box. Are you on the run from one city to the other? 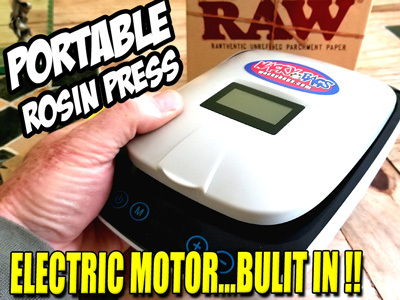 Need to bring your rosin press with you ?- This press is totally portable and fits right into your suitcase -Plate sizes 4"x4" OMG!! Top and bottom heat ! 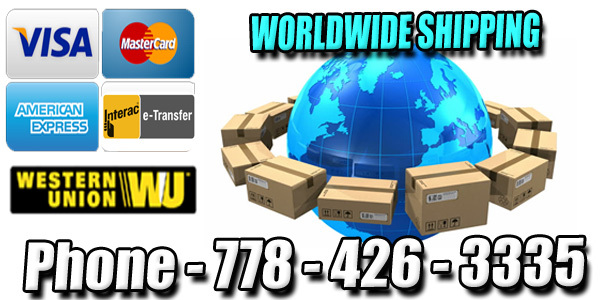 Heavy-duty aluminum construction plates with a built in motor Note this press is not made for flowers - works best with dry sift and bubble hash only LCD Screen Electrical 110V, 6A, 300W, 50/60Hz Dimensions 6"W x 9"L x 2.5"H Plate sizes 4" x 4" Temperature max is 302°F You can press flowers - dry-sift kief - bubble hash in a flash!